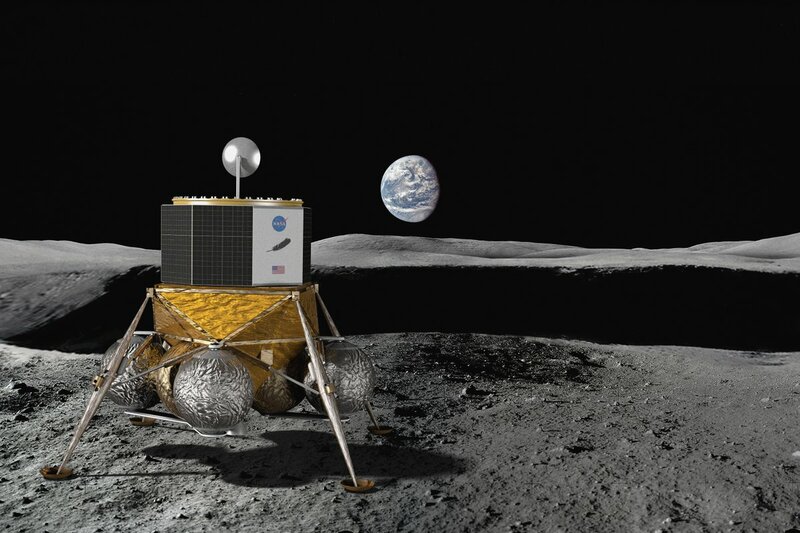 NASA is awarding $44 million to six commercial partners to support “tipping-point” technologies that range from lunar landing capabilities to in-space refueling and spacecraft servicing. Blue Origin, the space venture that was founded by Amazon billionaire Jeff Bezos and is headquartered in Kent, Wash., will receive $13 million to support its Blue Moon lunar lander program. The targeted technologies are to be demonstrated during flights of Blue Origin’s New Shepard suborbital spaceship. Today’s award announcement comes months after NASA’s third round of solicitations for ground or flight demonstrations that could lead to tipping points in the development and commercialization of space exploration technologies. This entry was posted in GeekWire and tagged Blue Origin, Moon, NASA, Space, Technology. Bookmark the permalink.